Even with students from all 50 states and more than 50 countries, Northwestern has developed a lingo that is distinctly its own. To speak like a seasoned Northwestern student, take note of the following acronyms and nicknames. This list is by no means comprehensive, but it might come in handy for the first couple weeks of the school year. NU: This is what we call ourselves. Morty: Our dear president, Morton Schapiro. Defining characteristic: Always wears purple. Norbucks: The Starbucks located in Norris University Center. It is advisable to befriend the baristas. Tech: Northwestern Technological Institute, the largest building on campus. Math, science and engineering courses are housed within its expansive walls. DM: Dance Marathon. Students spend 30 hours dancing to raise money for a charity. It’s kind of a big deal. Dillo Day: Armadillo Day. A daylong music festival on the lake fill at the end of MayFest. SPAC: (rhymes with “back”) Home to the Henry Crowne Sports Pavilion and the Norris Aquatic Center. Whether you want to Zumba or pump iron, SPAC might keep the freshman 15 at bay. PA: Peer Adviser. They help freshmen navigate through Welcome Week and beyond. CA: Community Assistant. Northwestern’s version of the RA, CA’s live in dorms and help with residential life. CAESAR: Like the Roman emperor. Northwestern’s online platform where students register for classes, view grades, and manage tuition. CTEC: A feature on CAESAR that functions as an advanced version of Rate My Professor, but for Northwestern courses only. EDC: Engineering Design and Communication. Another component of first-year engineering curriculum. GESI: (pronounced “guessy”) Global Engagement Studies Institute. Pairs students with international NGOs for community-based change. HPME: Honors Program in Medical Education. Application-based program that allows students to matriculate into Feinberg School of Medicine without taking the MCATs. ISP: Integrated Science Program. Application-based program that incorporated math and science into an honors curriculum. JR: Journalism Residency. 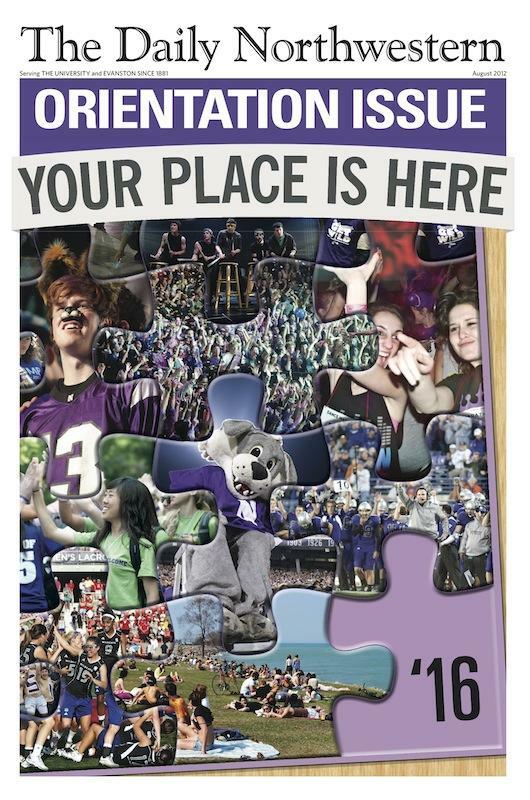 A quarter-long internship requirement for Medill School of Journalism’s upperclassmen. MMSS: Mathematical Models in the Social Sciences. RTVF: Department of Radio Television and Film, housed within the School of Communication. SESP: (pronounced “ses-pee”) School of Education and Social Policy. A&O: A&O Productions. Student group that organizes movie screenings and live concerts. ASB: Alternative Student Breaks. Coordinates nationwide service projects for students during school vacations. ASG: Associated Student Government. Northwestern’s version of student council. BLAST: Ballroom Latin and Swing Team. Offers dance lessons and participates in dance competitions. CRU: (pronounced “crew”) Campus Crusade for Christ. Christian faith-based student group. FUP: (rhymes with “cup”) Freshman Urban Project. A pre-Wildcat Welcome program where freshmen volunteer in Chicago and learn about its diverse communities. MGC: Multicultural Greek Council. Governing body of five culturally based fraternities and sororities. NBN: North by Northwestern. An online student publication that releases a magazine once a quarter. NPHC: National Pan-Hellenic Council. Governing body of seven historically black fraternities and sororities. NSTV: Northwestern Sketch Television. Student-run sketch comedy group. PHA: Panhellenic Association. Governing body of the 12 on-campus sororities. RCB: Residential College Board. Governing body for, you guessed it, residential colleges. RHA: Residence Hall Association. Assembly for dorm governments to discuss issues and plan activities.